Don Bosco Chinthanaloka Institute of Philosophy and Humanities. The Annual Symposium of Don Bosco Chinthanaloka Institute of Philosophy and Humanities was held on the 10th November 2018 Ahungalla, Galle. 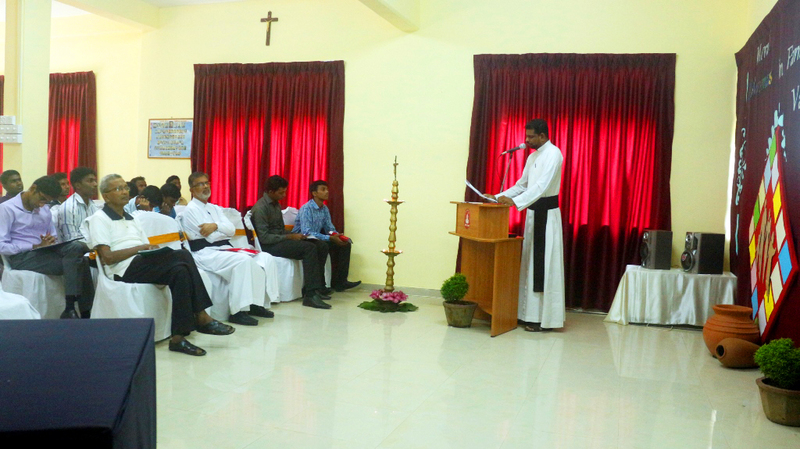 The Participants were the staff members and the students of Don Bosco Chinthanaloka and the representatives from the clergy of the diocese of Galle. The theme of the Symposium was “Moral Dilemmas in Family Values.” This theme was chosen in the spirit of the Synod on Youth and the Salesian Congregation’s latest focus on Family as an integral part in the Salesian Apostolate. The main theme was divided into three components for a proper understanding of the issue at hand. The key speakers were Rev. Fr. Michael Devin Coonghe IVD, Visiting Lecturer (Philosophy) at the National Seminary, Kandy, Rev. Dr. J.C. Paul Rohan, Senior Lecturer, University of Jaffna and Rev. Fr. Rashmi Madusanka Fernando SJ, the Assistant Parish Priest – St. Sebastian’s Church, Madampe. After the input and the floor discussion, the participants were divided into three groups to draw up resolutions to be followed during the course of the year after an extensive intellectual pursuit. This was facilitated by Rev. Fr. Abraham Savarimuthu SDB, the Dean of Don Bosco Chinthanaloka. All the participants were awarded with the participatory certificate for their active participation. The symposium was concluded with the vote of thanks proposed by Rev. Fr. Susith Milroy SDB, the Principal of Don Bosco Chinthanaloka.